Hewlett Packard announced that it releases a new blade server and storage system that aims to power the new generation virtual data centers and to be used for cloud computing class IT services and platforms. Along with the HP BladeSystem Matrix (a a cloud infrastructure in a box) HP has said that the new HP LeftHand storage P4000 SAN is available as a standalone iSCSI SAN product or as a part of virtualized blade server infrastructure in a bundle called HP StorageWorks SB40c with P4000 Virtual SAN Appliance Software. The HP’s announcement of the new enterprise IT storage solution came month after Cisco entered the blade server market with its new Unified Computing System for virtualized data centers, and a week after EMC introduced a Symmetrix V-Max storage system and new architecture. Cisco and EMC agreed to join forces to ensure their systems can easy to interoperate. According to Paul Travis of Byte And Switch one of the challenges that data center managers have had to confront as they load many virtual servers on a single physical server is the demand placed on networks and storage systems, especially when virtual servers are moved from one physical machine to another to balance loads or improve performance. The ability of networks and storage systems to supply sufficient bandwidth or storage connectivity often is a limiting factor in server virtualization. 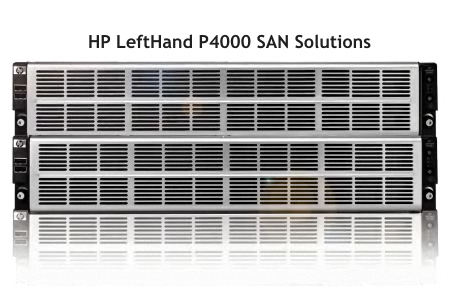 By adding the LeftHand software into their blade server rack, HP creates virtual storage nodes shared over a network and offers prospective client to benefit from the economic benefits of direct-attached storage. According to the server producer this simplifies the data center management management and reduces power and cooling needs. The Virtual SAN Appliance software can run on a server running a VMware hypervisor is certified byt the virtualization producer. HP also introduced HP Storage Works 600 Modular Disk System, direct-connect SAS storage for its HP BladeSystem. It allows system administrators easily to allocate storage to blade servers so it looks like local storage, rather than networked storage. The Modular Disk System 600 can hold up to 70 1-TB drives and up to 6 can be connected to a single HP blade system. HP said that for customers who need a lot of capacity, the system can scale up to 420 TB of storage that can be allocated across 16 BladeSystem servers. The storage announcements were made when HP introduced the latest move in its “adaptive infrastructure” data center initiative, which the company has been pushing for several years now. A key goal for HP is to automate much of the management of systems in the data center, and it highlighted the ability to create templates to handle much of the provisioning, planning, consolidation, and recovery processes. The company want to enable the data center executives to create a template and define the amount of computing, storage, networking, power and cooling, and other resources for, say, a mail and message system for 500 people or an e-store.